If you’re an adult and interested in orthodontic correction, you have more options than ever. Dr. Khan of Polaris Dental Care offers orthodontics that work with adult lives. If you’re thinking about getting braces, but don’t like the idea of wearing metal braces as an adult, we have the perfect solution for you – Invisalign. Traditional metal braces are a still one of the best ways to correct your smile. They can correct bite position, jaw placement, malpositioned teeth, and many other orthodontic issues. But at our family dental practice in Grandview, we know that braces can have a negative impact on self-esteem. In fact, many adults will avoid orthodontic treatment altogether because “adult braces” are so stigmatized. While braces remain one of the best options in orthodontics, alternative correction methods have been developed to make treatment easier. Invisalign uses a series of clear, plastic aligners to gradually shift the position of teeth, resulting in a straighter, more attractive smile. Invisalign can be a life-changing solution for adults. In some instances, Invisalign might be right for teenagers. Our Invisalign experts can develop a customized treatment plan, providing you with amazing results. Treatment times can be faster than traditional braces, too. However, Invisalign cannot be used to treat all the same orthodontic issues that can be treated with traditional braces. To determine if you’re eligible for Invisalign, schedule an appointment at Polaris Dental Care and get treatment from some of the best dentists in Grandview, London, and Springfield. Completely removable system – Invisalign aligners need to be worn for 22 hours per day, but they can easily be removed to eat, drink, brush, floss, and play contact sports. Subtle and unobtrusive – Invisalign is nearly invisible to the naked eye, and does not affect speech. This makes it great for both teenagers and older adults who need orthodontic treatment. Comfortable and convenient – There are no wires to poke your mouth, and there is no pain after tightening sessions. 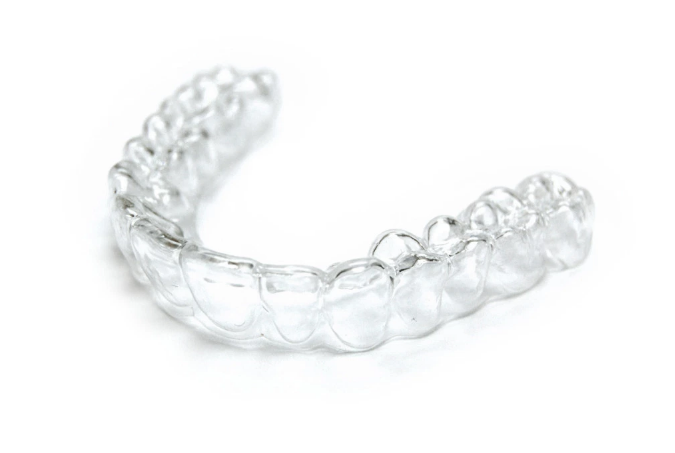 Invisalign is comfortable to wear, and exerts gentle, even pressure to correct the position of teeth. Come To Polaris Dental Care To See If Invisalign Is Right For You! With Invisalign, it’s easier than ever for adults to get the orthodontic treatment they need. Schedule a consultation at one of our locations in Columbus, Grandview or London/Springfield. Our highly skilled dentists will be able to determine whether or not Invisalign is the right treatment for you. Let us help you improve your oral health and give you a beautiful smile. "My wife and I spent a long time looking for a good dentist and are very happy to have found Polaris Dental. The staff is always personal and friendly. We've never waited in the lobby for more than a few minutes. Most importantly, the dental work is fast and painless and we have never felt like we received an unnecessary procedure. Also, they are very straightforward about expenses. They work with our insurance company and discuss with us before incurring any extra costs. Highly recommended."